How many jumpers will be participating? 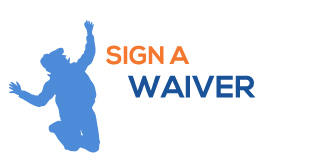 All jumpers must complete a Sky Zone waiver prior to entering the Sky Zone playing courts. Those under 18 must have it completed by their parent or legal guardian. All guests please arrive 30 minutes in advance of your jump time for check-in. The general rule at Sky Zone is age/size separation. Jumpers my be separated. Dodgeball cannot be guaranteed without a private court party package. No outside food or drink allowed inside Sky Zone, with the exception of birthday cake or cupcakes with birthday party purchase. Deposits are fully refundable up until 7 days before your event, at which time it becomes non-refundable. 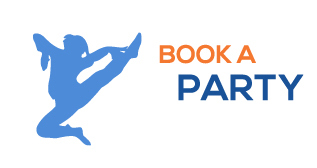 Parties booked within 7 days of the preferred event day MUST call in to book the party. Web Content Copyright © 2016 Sky Zone Trampoline Park. All Rights Reserved. Online Sales & Bookings Powered By CenterEdge Software.